Chris* was unfairly dismissed, and took his case to the CCMA. The CCMA ruled in his favour, however, his employer did not abide by the ruling and writ of execution. Later, he was informed that his former employer had applied for appeal at the Labour Court. It’s now a year later and he has not received any communication from the Labour Court about the progress of the case. What can Chris do? 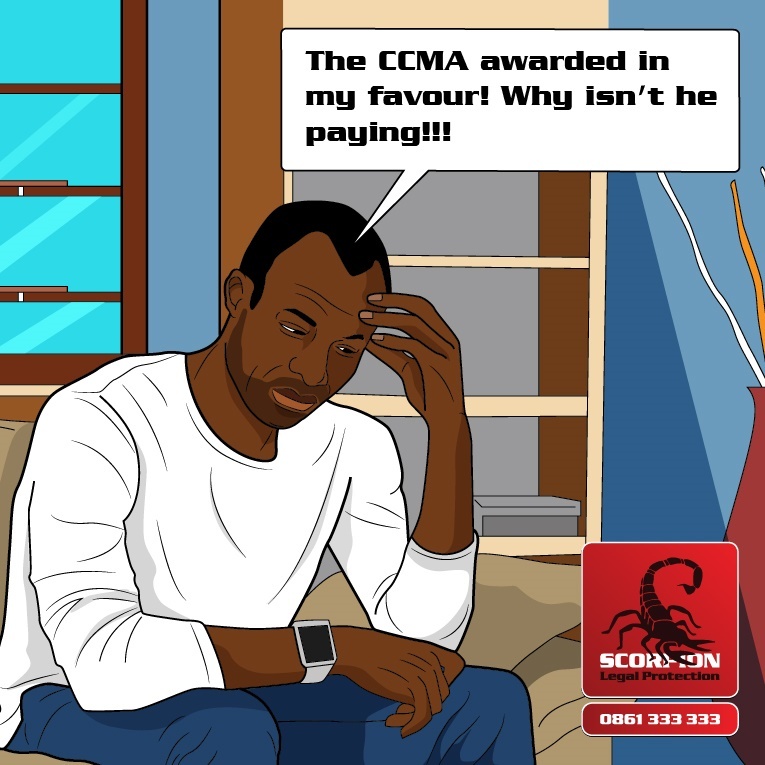 Chris can call the CCMA call centre on 0861 16 16 16 with his CCMA case number and they should be able to advise him whether the arbitration award was taken on review. If they are unable to pick up any information, they will refer Chris to the regional office, who would be able to assist. If it is found that the matter has been taken on review, he must get the Labour Court case number, go to the Labour Court and request the file to ascertain the current status of the matter. Depending on the status of the review, he could require legal assistance going forward. If it is found that the employer has not applied for review, Chris can proceed with a writ of execution. What this means is that he can apply immediately for the arbitration award to be confirmed by the Director of the CCMA and to apply for a writ of execution. Through this writ, the employee (Chris) gets the Labour Court to instruct the sheriff of the court to take possession of the employer’s property and sell it in order to get the award issued by the CCMA as compensation for his unfair dismissal. This writ can be obtained by the employee even if the employer’s application for review is still pending.